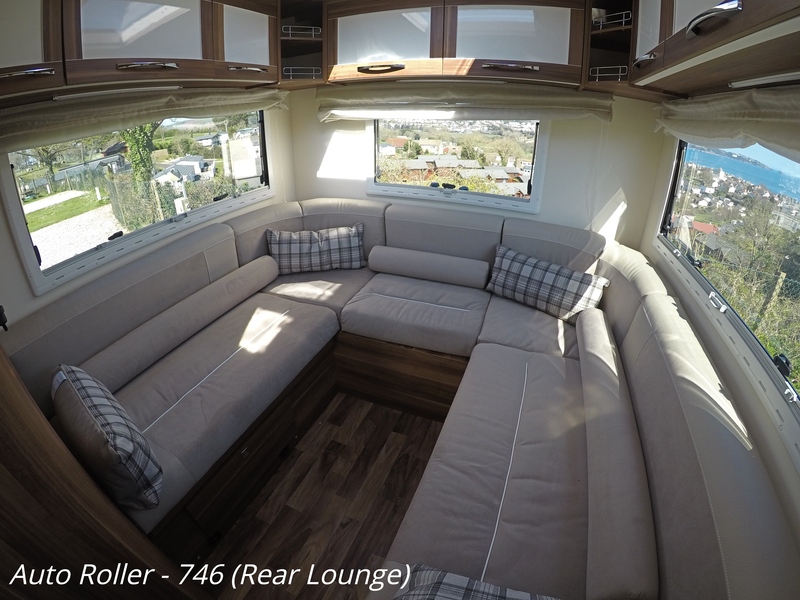 Wheel Base 4.04m 13' 3"
Overall Length (excluding ladder) 6.92m 22' 8"
Front Double 1.84m x 1.22m 6' 0" x 4' 0"
Overcab Bed 2.08m x 1.37m 6' 10" x 4' 6"
You can drive all our motorhomes on a standard B1 drivers licence. 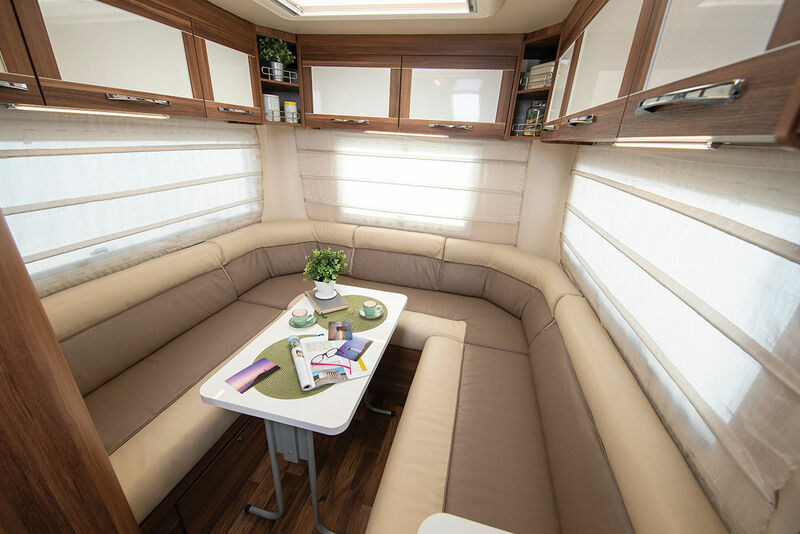 This motorhome type will sleep and travel a maximum of 6 people. 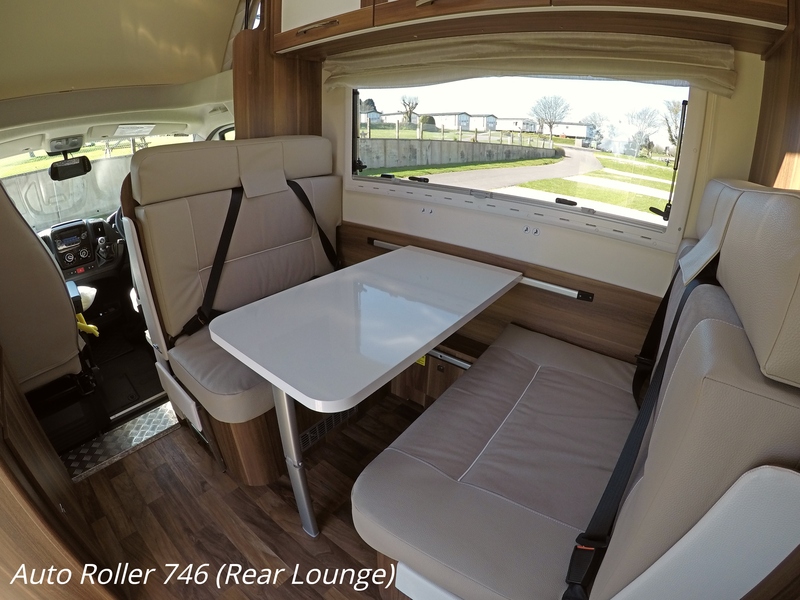 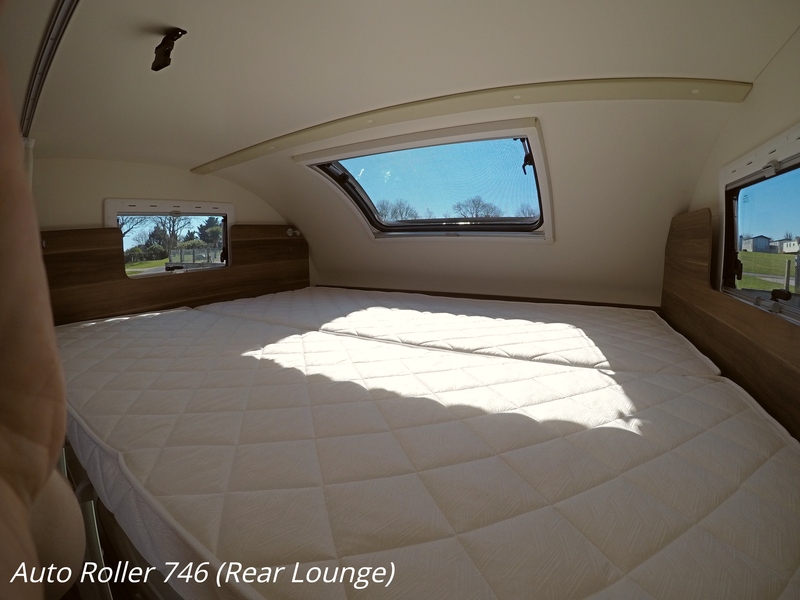 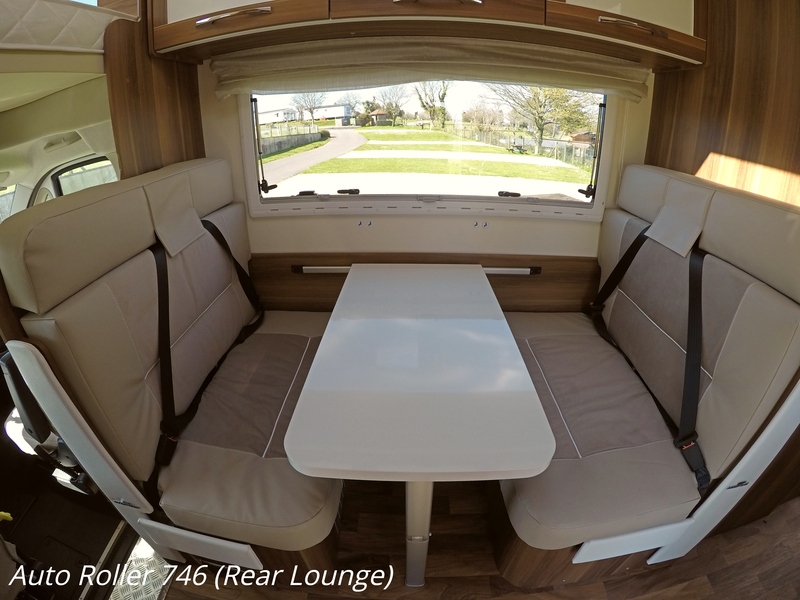 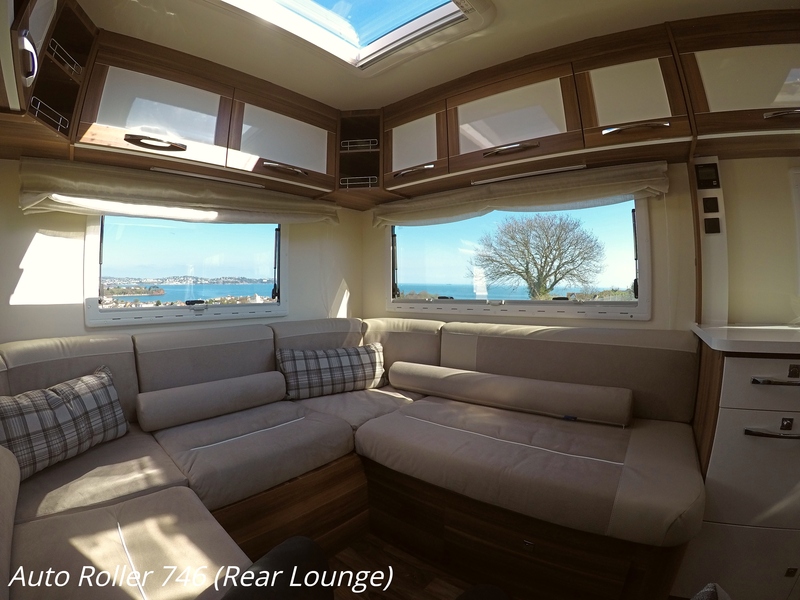 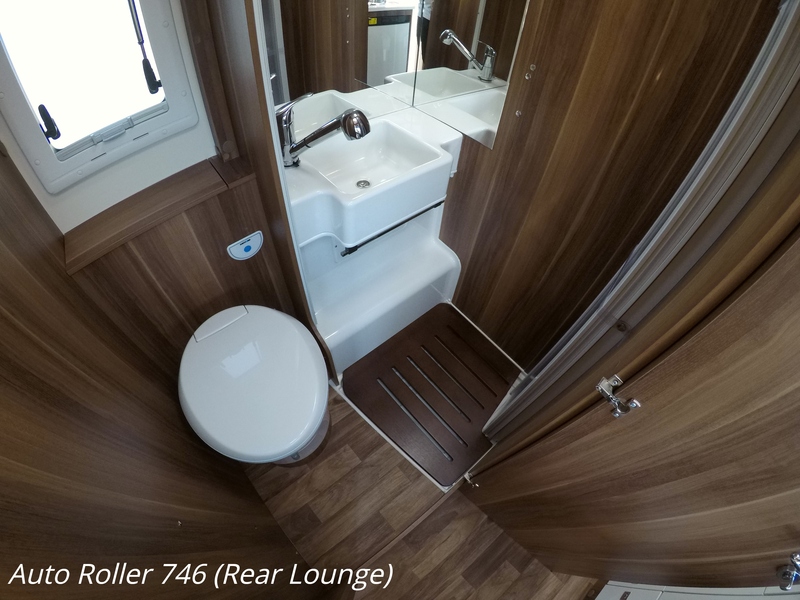 Key features are the beautiful rear lounge that is great for relaxing in front of the TV/DVD player or socialising around the pull out table. 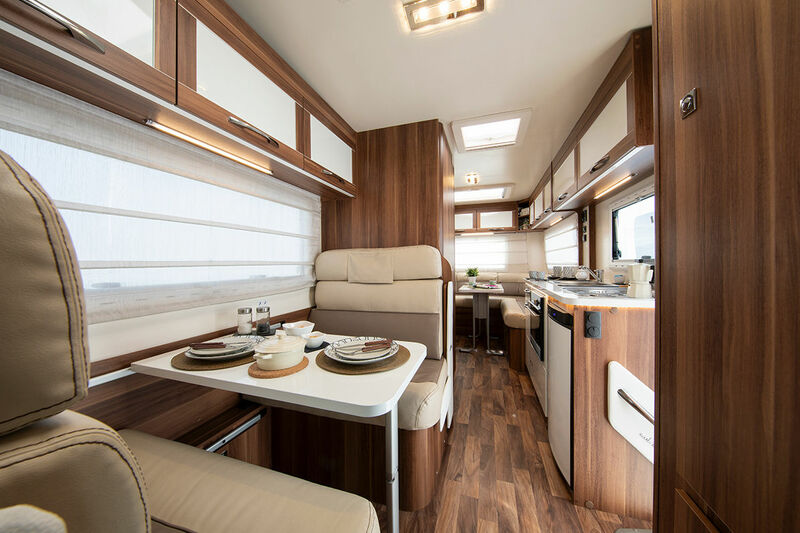 It also has a central dining area which is ideal if you want to leave the rear bed made up and still have somewhere to eat. 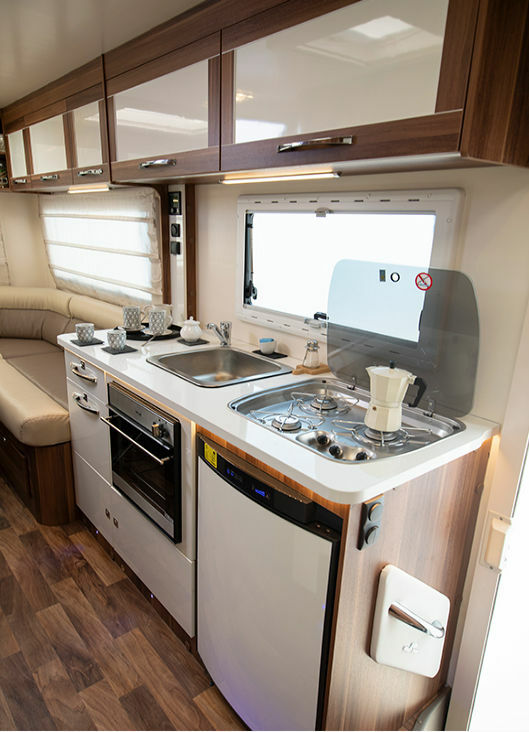 It has a duel heater which can run off either gas or electric hook-up and can retaine 20°C at -15°C WOW! 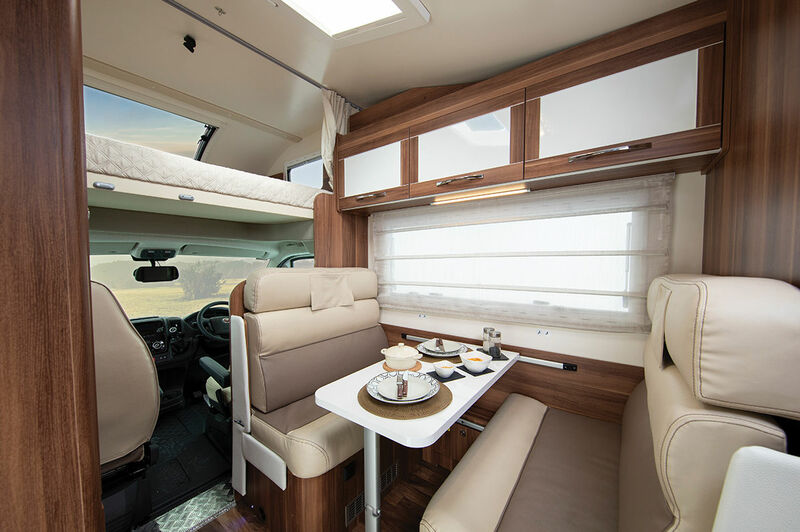 So no matter what the weather throws at you, inside you'll be as warm as toast. 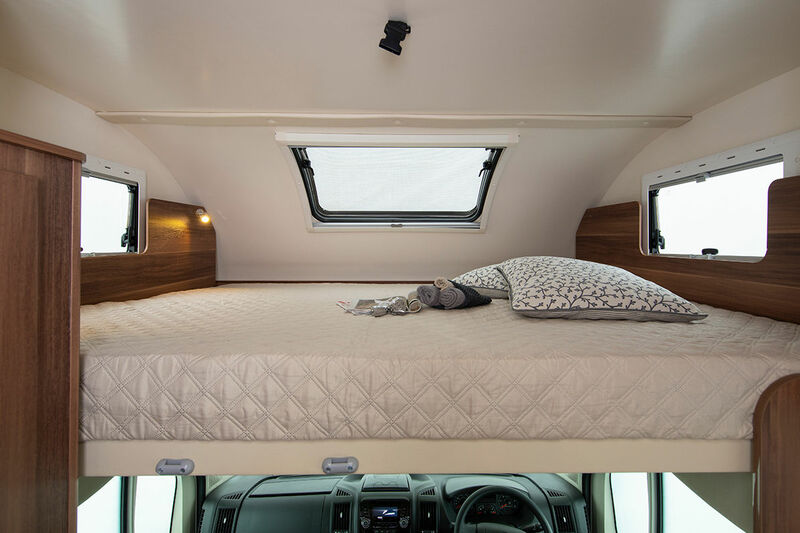 The night time conversion allows you to sleep 6 people in 3 x double beds (kids love the bed over the cab!). 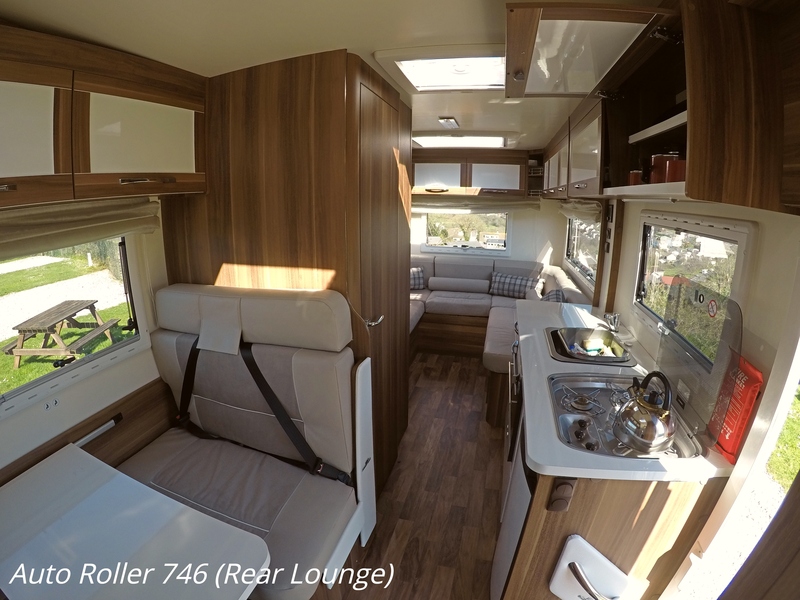 This motorhome has a 6 speed gearbox enabling you to get the best fuel consumption at around 25 – 30mpg! 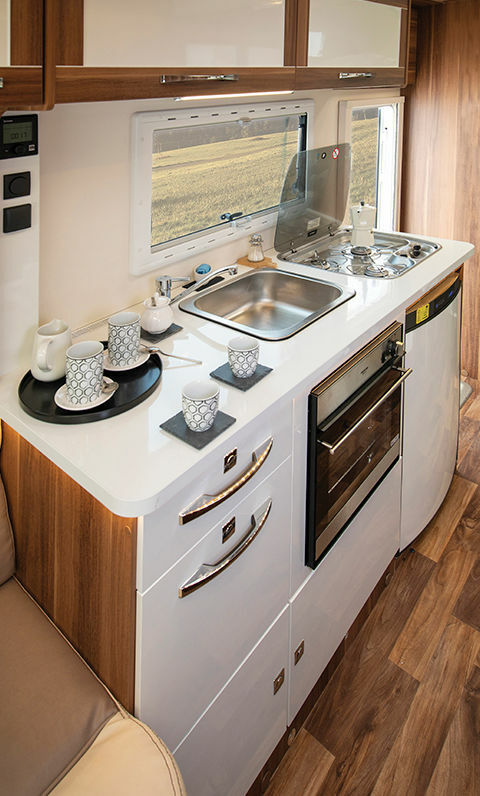 This motorhome range benifits from a full size fridge with built in freezer compartment which can run off mains hook up, gas or engine battery (when you're driving) so no matter what youre doing you will always have an ice cold fridge! 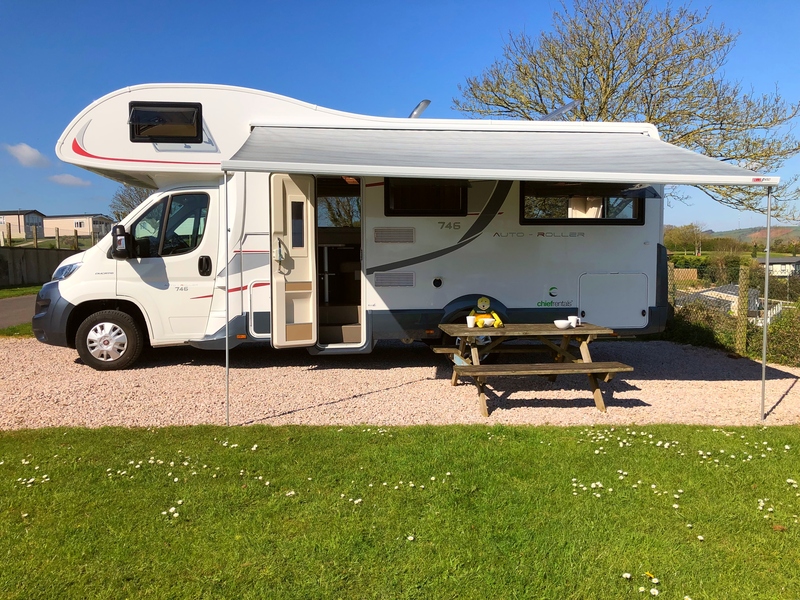 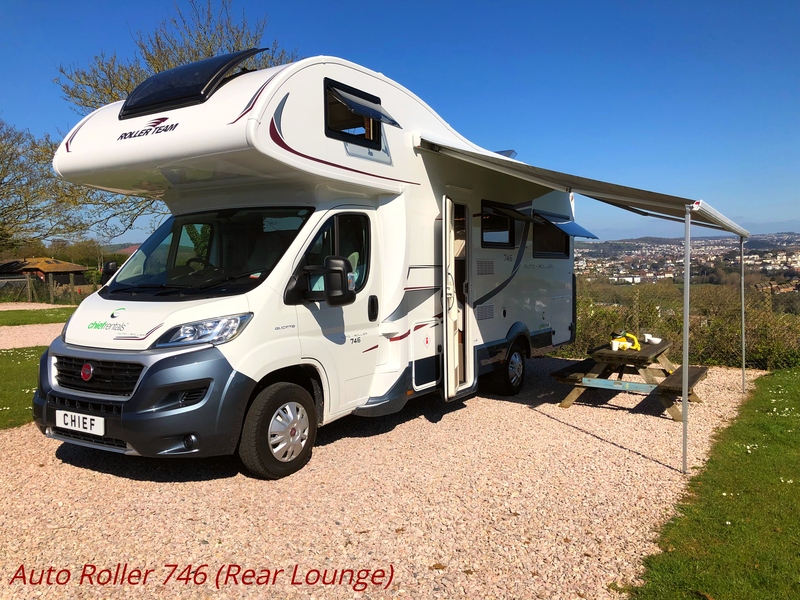 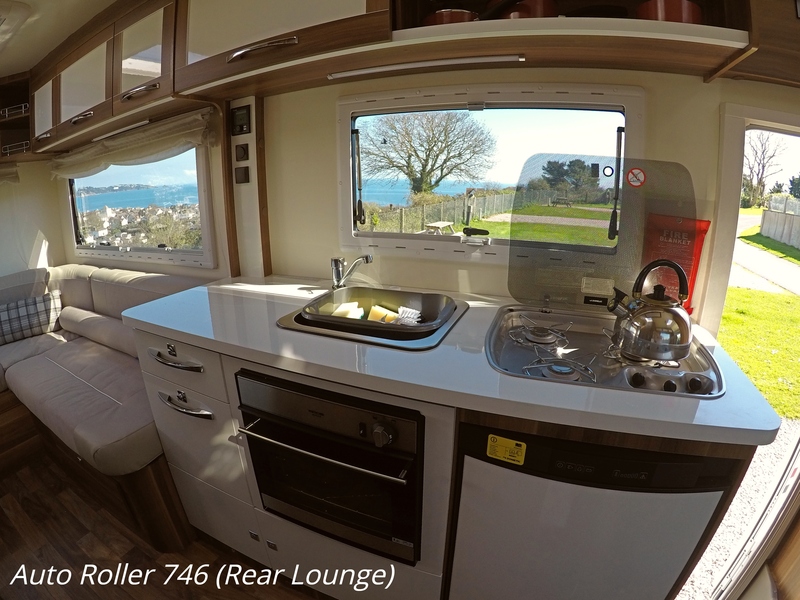 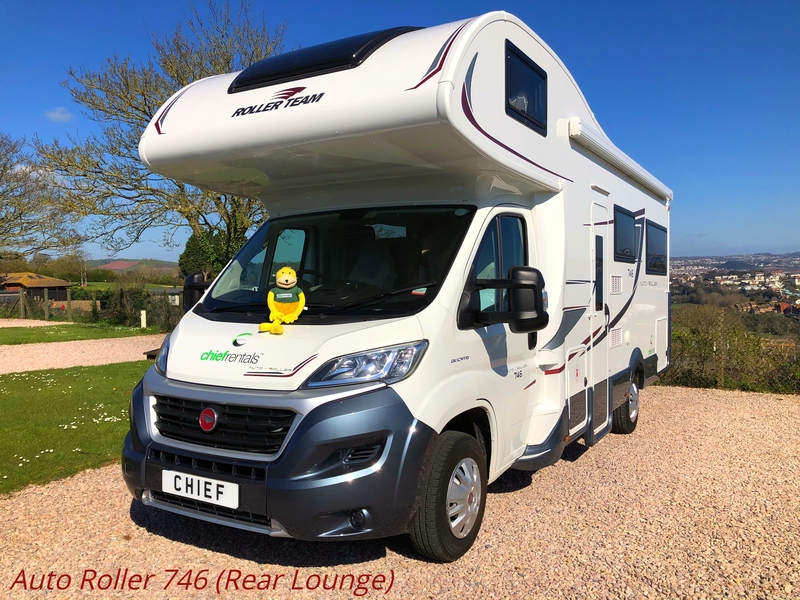 It comes with a 3 x gas burner hob with full oven and grill for all your cooking needs, plenty or storage both over head and under seats, a good sized wardrobe, piping hot and cold running water and an excellent shower and toilet. 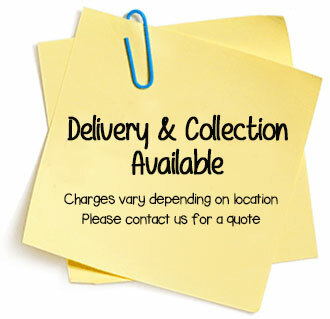 For your peace of mind and safety we provide a 1st aid kit, fire extinguisher, fire blanket, smoke alarm and carbon monoxide alarm.